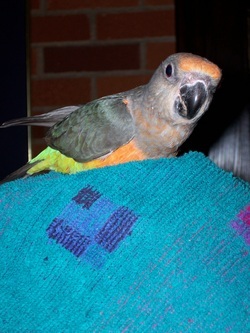 Here at Silvernite Aviary, we hand raise many types of birds and develop them in to warm loving pets. Anyone can hatch an egg and feed a chick, but it takes a special touch to make the bird a good pet and that's what we at Silvernite Aviary specialize in! Click on the name of the bird below to find out a little more information about them. Click here to see what birds we have available now or soon!